There always has been this invisible war that rages on when the mid-autumn festivities draw near. 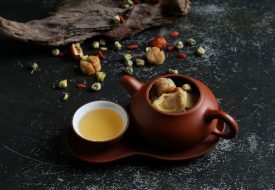 Setting out to outdo each other, some restaurant chains and luxury hotels have driven all their efforts to producing the most beautiful mooncake treats. 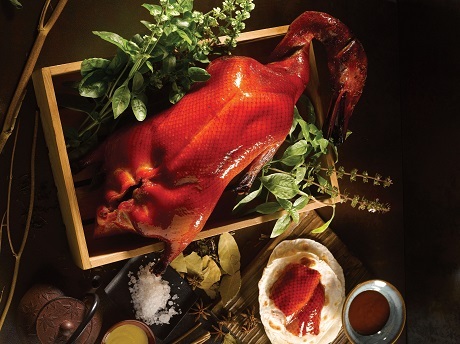 But if history has shown, these traditional delicacies are but only secondary to the exquisite chests that hold them. From intricate oriental designs carved on the surface to the embodiment of Chinese dressers that come with pull-out drawers, the creation of mooncake boxes are often given much precedence over the actual mooncakes. So when Crystal Jade rolled out its own offering for this year, one can daresay that the bar for the most impressive mooncake box has been set. 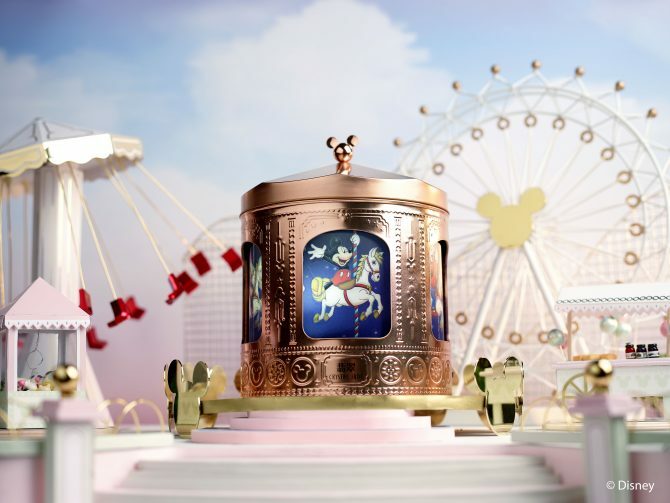 The mooncake box in question is the Chinese restaurant’s Mickey and Friends Musical Carousel Collection – a stunning limited-edition Disney musical carousel mooncake box. 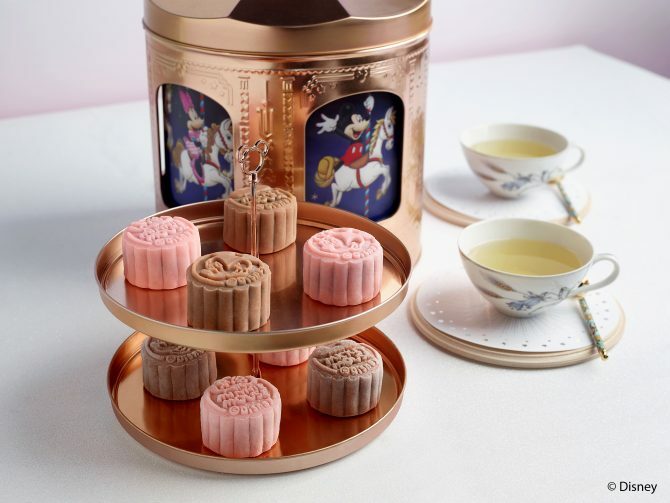 Designed by Disney’s own artists, the fully functioning musical carousel mooncake box is basically a gorgeous rose gold-glided tin that comes with a switch button. After connecting to a power source with the provided USB cable, the mooncake box comes alive, gently spinning around to display the 3D-graphics of beloved characters Mickey, Minnie, Donald, Daisy and Goofy riding on a merry-go-round. The joyful tune of ‘Mickey Mouse March’ is played at the same time. Inside the tin is a removable two-tier dessert tray to hold the snowskin mooncakes of pink coral-touting Pandan Lotus with Gula Melaka in a beautiful pink coral shade, and Chocolate Manuka honey in a light brown shade. Advance orders for the Mickey and Friends Musical Carousel Collection ($88 for a box of eight) can be placed online at www.crystaljade.com from 30 July to 18 September 2018. Crystal Jade Culinary Concepts’ mooncakes will be available for sale at all outlets from 19 August to 24 September 2018.